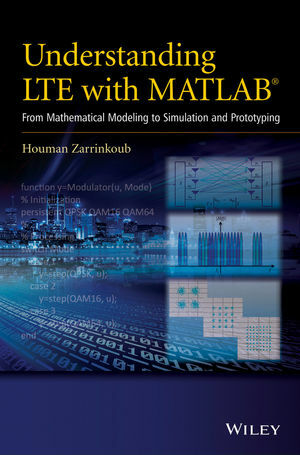 This book examines the Physical Layer (PHY) of the LTE standards by incorporating three conceptual elements: an overview of the theory behind key enabling technologies; a concise discussion regarding standard specifications; and the MATLAB® algorithms needed to simulate the standard. The use of MATLAB®, a widely used technical computing language, is one of the distinguishing features of this book. Through a series of MATLAB® programs, the author explores each of the enabling technologies, pedagogically synthesizes an LTE PHY system model, and evaluates system performance at each stage. Following this step-by-step process, readers will achieve deeper understanding of LTE concepts and specifications through simulations. Dr Houman Zarrinkoub has served as a development manager and now as a senior product manager with MathWorks, based in Massachusetts, USA. Within his 12 years at MathWorks, he has been responsible for multiple signal processing and communications software tools. Prior to MathWorks, he was a research scientist in the Wireless Group at Nortel Networks, where he contributed to multiple standardization projects for 3G mobile technologies. He has been awarded multiple patents on topics related to computer simulations. He holds a BSc degree in Electrical Engineering from McGill University and MSc and PhD degrees in Telecommunications from the Institut Nationale de la Recherche Scientifique, in Canada.